Government hits back, tells rating agency to introspect on processes. Global ratings agency Standard & Poor’s on Wednesday reiterated its sovereign rating and outlook on India but ruled out any upgrade for this year and the next, citing weak public finances. The government slammed S&P's statement saying there was a 'disconnect' between rating agencies' views and investor perception on India. The US-based ratings agency maintained the lowest investment grade rating of 'BBB-' with a 'stable' outlook for India citing the country's sound external profile and improved monetary credibility. While it advocated more efforts to lower government debt to below 60 per cent of the GDP, it did not expect revenues to raise enough to meaningfully lower the deficit over the medium term. "The stable outlook balances India's sound external position and inclusive policy-making tradition against the vulnerabilities stemming from its low per-capita income and weak public finances," S&P said in a report to its clients. “The outlook indicates that we do not expect to change our rating on India this year or next, based on our current set of forecasts." 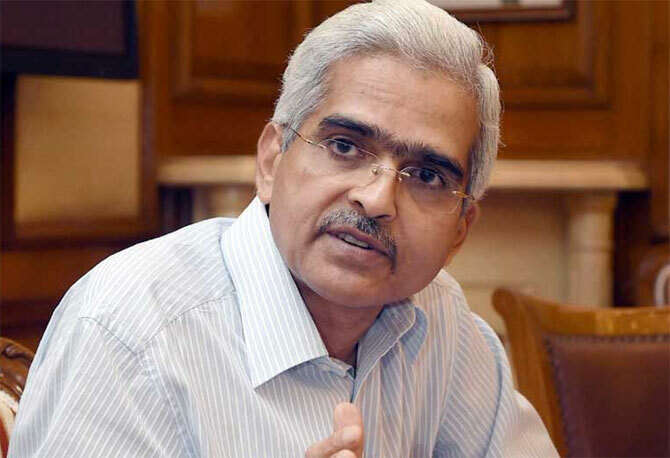 Reacting to S&P’s announcement, Economic Affairs Secretary Shaktikanta Das said the reforms undertaken by Asia’s third largest economy were unparalleled in any major economy. According to him, the rating agency’s decision not to upgrade calls for “introspection” on the part of the rating agencies. “The government would continue to take measures to strengthen the economy, boost GDP growth rate and create jobs,” Das told reporters. Das cited various steps taken by the government in the past two years, including building strong external position, controlling inflation and structural reforms such as the goods and services tax and bankruptcy code, saying that globally investors recognise these. "If you compare the various factors the report talks about, is there any other economy that equals this? So if there is no improvement, it's a matter for the rating agency to put a question to itself and perhaps undertake a kind of introspection," he said. According to Das, global investors consider India as highly 'under-rated'. The government would continue to adhere to the path of economic reforms and the various policy initiatives. In September, Moody’s, another ratings agency had said that a ratings upgrade for India would not be possible before the next couple of years. This was just ahead of the agency’s representatives meeting finance ministry officials. Policymakers were miffed at Moody’s making such statements even before meeting them and Das told the representatives that he had serious concerns regarding the agency’s methodology. He told them that, under the circumstances, the meeting was “completely irrelevant and superfluous”. S&P said the upward pressure on credit ratings could emerge if the government reforms improve India's fiscal performance and pushes down the level of net general government debt below 60 per cent of the GDP. Currently, government debt amounts to about 69 per cent of the GDP. Downward pressure on the ratings could re-emerge if growth disappoints as a result of stalling reforms or if interest rate-setting monetary policy committee does not achieve inflation targets. A higher-than-expected deterioration in the nation's external liquidity position could also put a downward pressure on ratings, S&P added. The rating agency expects economy to grow 7.9 per cent in 2016 and eight per cent on an average over 2016-2018. It also expects current account deficit to be at 1.4 per cent of the GDP in 2016 and the Reserve Bank of India to meet its inflation target of five per cent by March 2017. With regard to the banking sector, it said the private banks have better profitability, higher internal capital generation and capitalisation with lower-stressed assets than public-sector banks. S&P estimated that PSU banks need capital infusion of $45 billion by 2019, given their weak profitability, to meet Basel III capital norms, against $11 billion support pledged by the government. "Overall, we believe public finances are set to remain key rating constraints for some time," S&P said. "We believe domestic supply-side factors will increasingly bind economic performance and the government has little ability to undertake countercyclical fiscal policy given its current debt burden." Image: Economic Affairs Secretary Shaktikanta Das.